Alice Friman's new book of poems, Vinculum, is forthcoming from LSU Press in 2011. She is the author of eight collections of poetry, most recently The Book of the Rotten Daughter from BkMk Press released in April 2006, and Zoo (Arkansas, 1999), winner of the Ezra Pound Poetry Award from Truman State University and the Sheila Margaret Motton Prize from the New England Poetry Club. Her poems appear in Poetry, The Georgia Review, Boulevard, The Southern Review, The Gettysburg Review, and Shenandoah, which awarded Friman the 2001 James Boatwright III Prize for Poetry. She's received fellowships from the Indiana Arts Commission and the Arts Council of Indianapolis and has been awarded residencies at many colonies, including MacDowell and Yaddo. She was named Writer in Residence at Bernheim Arboretum and Research Forest in 2003-04. Friman is the winner of three prizes from Poetry Society of America and in 2001-02 was named to the Georgia Poetry Circuit. Professor Emerita at the University of Indianapolis, she now lives in Milledgeville, Georgia, where she is Poet-in-Residence at Georgia College & State University. To me writing poetry is the great permission. I started writing seriously in my forties, and except for the Iowa workshop, I had never heard of such a thing as an MFA program. If I had, what would I have done with such information—what with the husband, the three kids, the ironing. You know that picture. So I was never introduced to all the things you shouldn't do. Since it’s been quite a few years since I was in my forties, I've seen no end of no-nos come and go, so many you can't do thats turn into of course you can, I figured I was right all along, and there are some things you shouldn't pay attention to. The important thing is to write. I write for the muse. Does that sound old fashioned? As I tell my classes, there are no muses for basketball, but, by heaven, there are four, count them, four muses for poetry—Euterpe, Polyhymnia, Calliope, and Erato. Five if you count Thalia, who doubled in comedy and pastoral poetry. And whichever one is called up when I first touch pen to paper, I tell you, she is one tough cookie. Fifty drafts? Four months for eight lines? The muse grants permission all right: say whatever, write whatever, just make sure when it's done you've hammered out something original and honest. "Woman Sees Jesus in Microwave Oven"
and baked potato. Who's not blessed? looking for me, now that I'm getting so old. to the mast: I can't hear you I can't hear you. I'd be trying to make it up to all my life. which you can't possibly remember, but do. be a baby's hand. Why not? a room with no television, no phone. the key chain back on its familiar hook. wanting her naked, tugging at her clothes. sicced on by the winds. She pushed on. great hoop and cry reporting to the sea. a twin in the red pail of her memory? rammed a fist of wind into her back. a howling anger pushing them down. Gray bone in a gray soup. cementing up its one red eye. thrashing in anger, spitting in her chains. there's no getting rid of it. Beat your carpet back to thread. linty breath. There's no escape. Fly to Rio, book a cruise. Dust follows. No no, you say. bright as varnished lettuce. Oh? Will it pass the white-glove test? down the horse's rump. Slap it. Watch the dust rise. See him run. of mercury in a tube. the lecher, usurper, Duke of Milan. gardens, the works. Cecilia Magnificat. you complain of left in the mouth. Without you I am sponged clean. The basin water splashes clear. high-pitched and terrible. Be afraid. asleep in the terrible shadows. in the doomed glass? You stir. as the water splashed on the washing stone. Kiss me. Kiss me in your sleep. my wine glass is on the table. When you wake stir the rim to singing. I've left a song for you about heroes. Dragon's teeth and orange fire. in the glass. I am not afraid. sits on the edge, grins, spurts his filthiness. Come, finish me. I have had enough. My pillow smells of oranges. as a burnt bone. I am ready. the murmuring crowd. Kiss him for me. slime has turned the gold to orange. Now there is too much to clean. My heart plumps with shadows. I'll not speak with you again. stones. I have twisted the mop. There is no grin in me. I am done. wrapped tight in their pillowcases. See how I'm kissed by their blood. in the basin for you to drink. steal the money if I have to. What kind of sieve lets go of that? dumb arms, wading right into it. he said it again—Far Tar. the forest's most popular attraction. How far is Far Tar? tarred and feathered beyond recognition. a far Tar. A cold Tar. used for the "heartbreak of psoriasis"
flows a fair and far 215 miles south. is a synonym for tar doubled—Tartar. of Tartarus open for us all. was a historian of such magnitude? the fiery house and the smell of children burning. 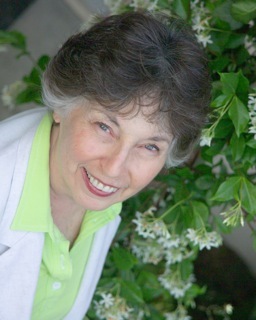 Additional information, poems, and essays by Alice Friman, can be read on her website at www.alicefriman.com.